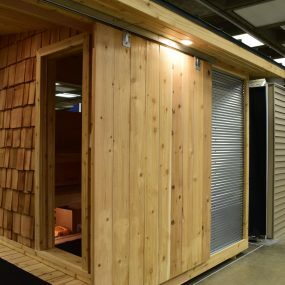 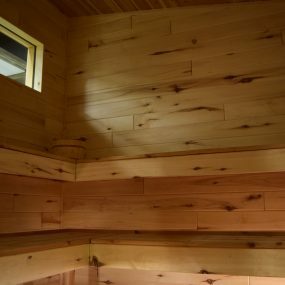 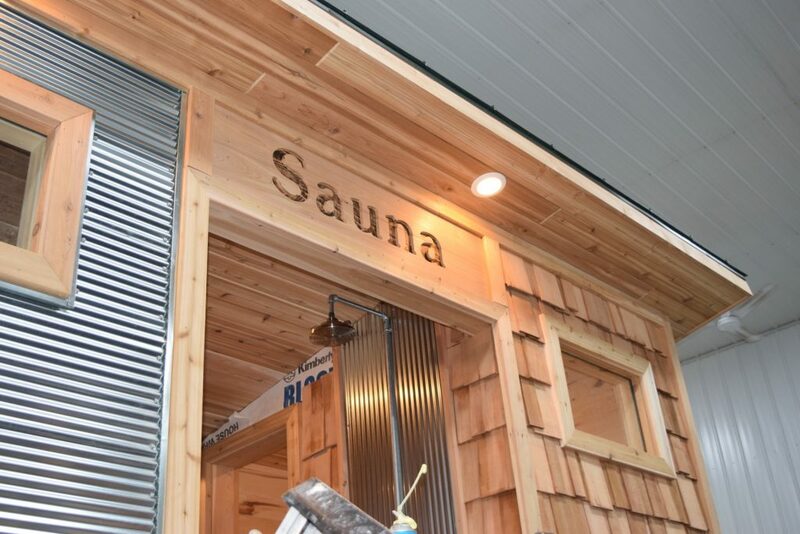 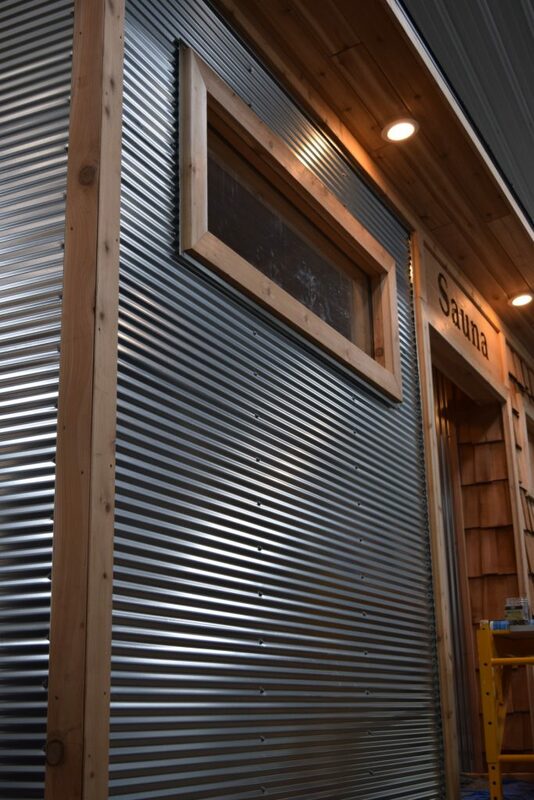 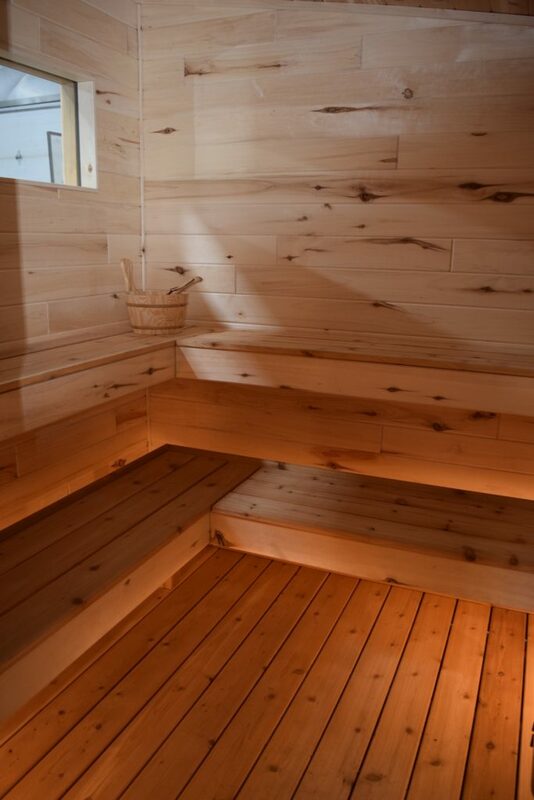 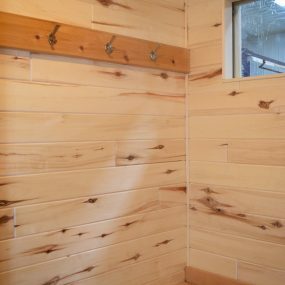 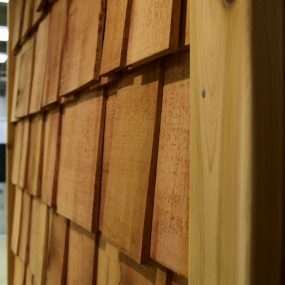 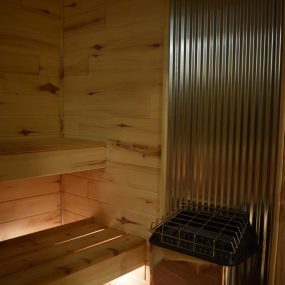 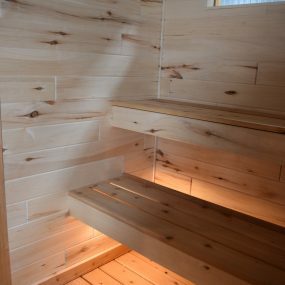 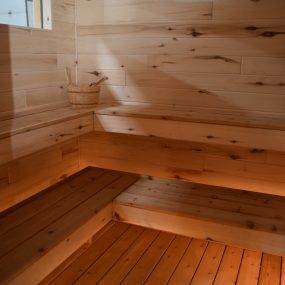 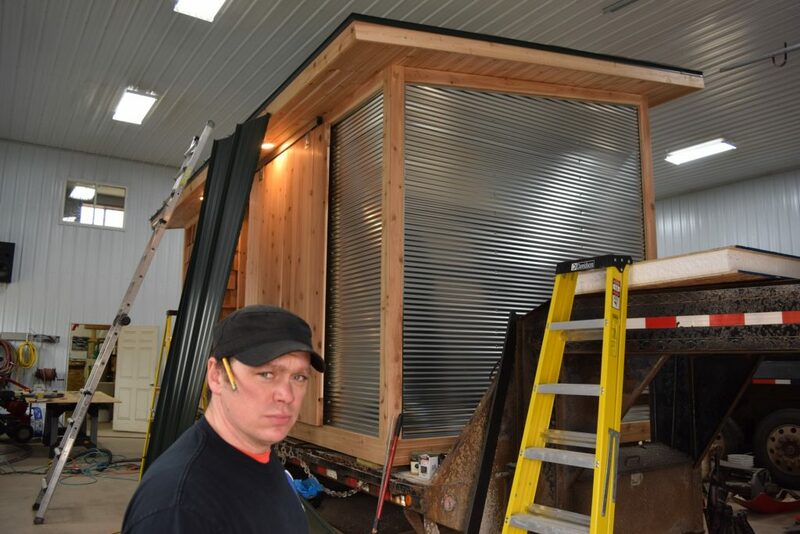 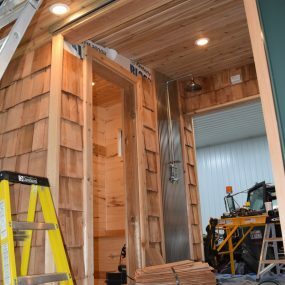 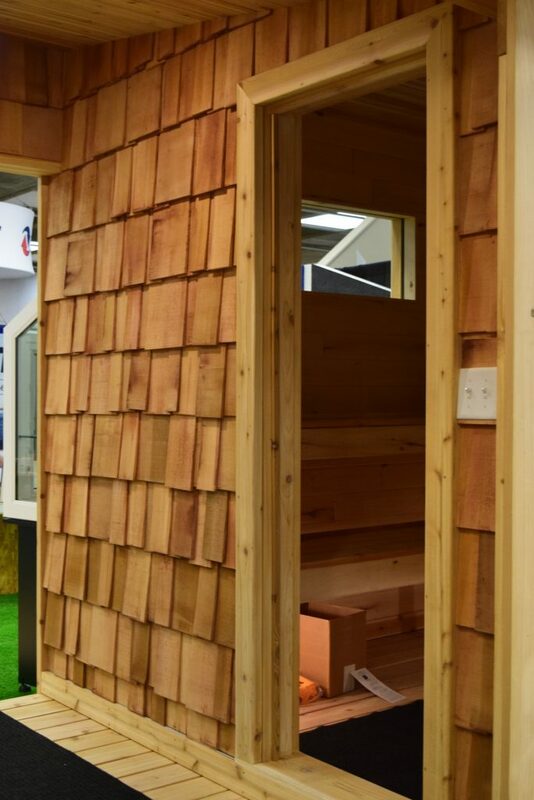 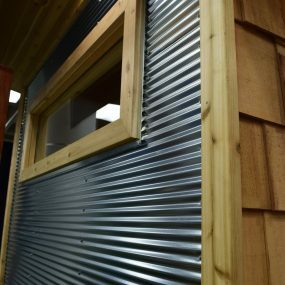 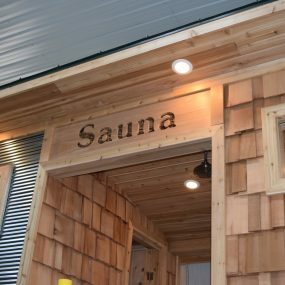 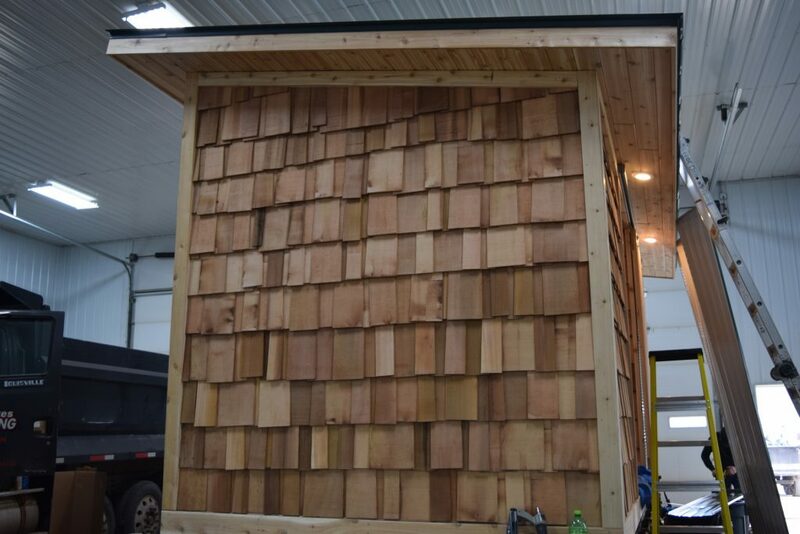 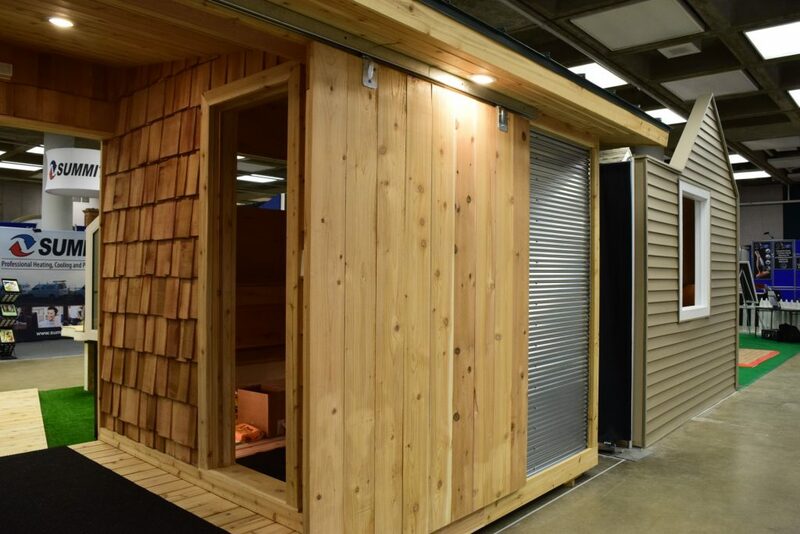 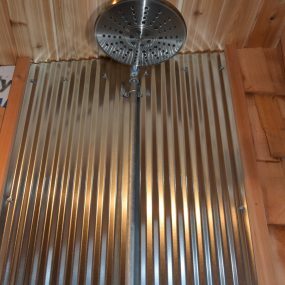 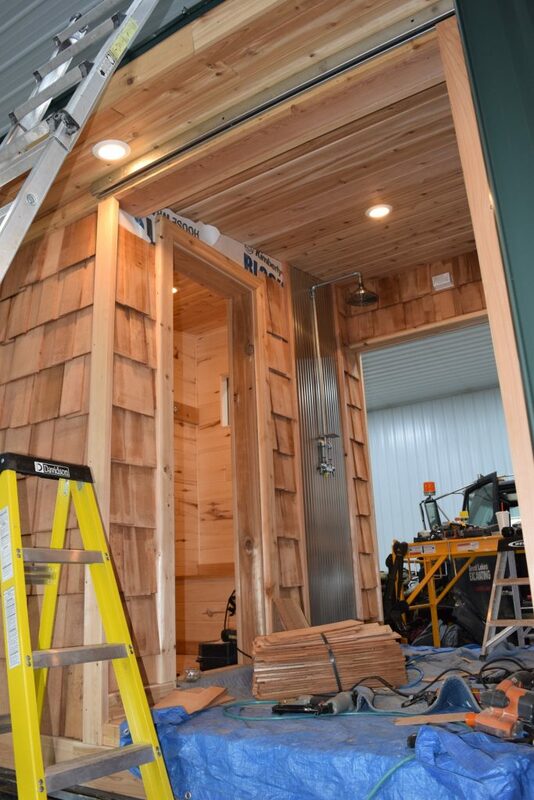 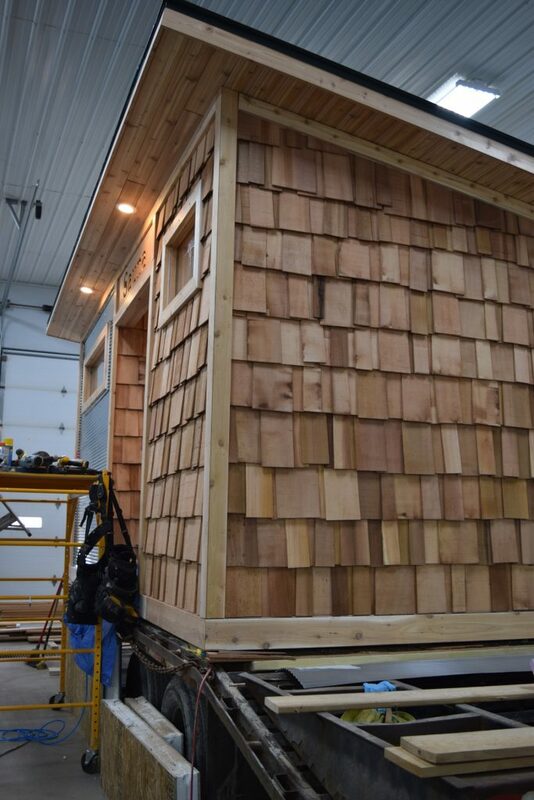 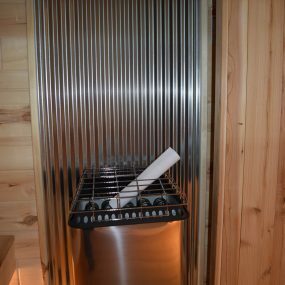 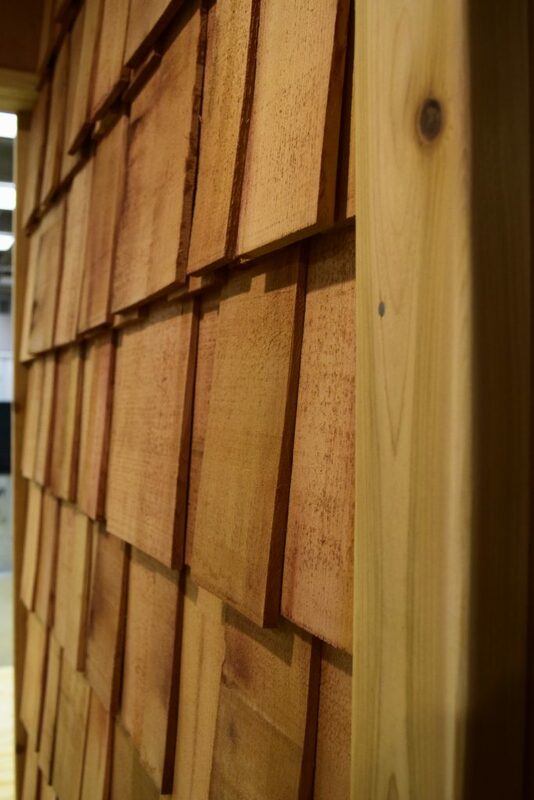 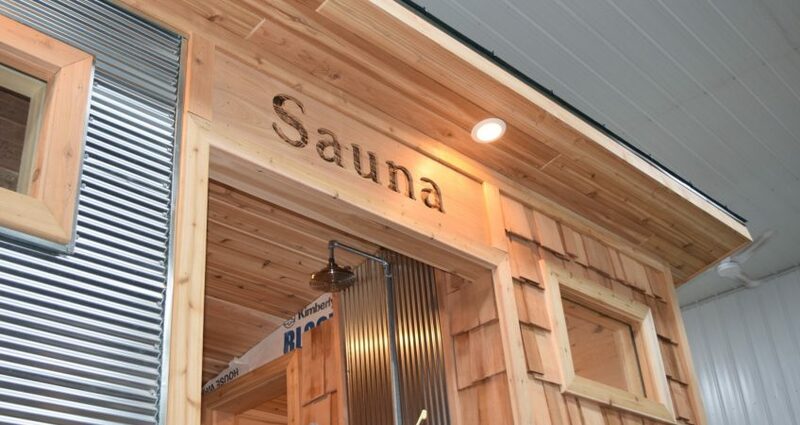 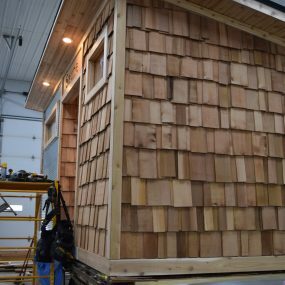 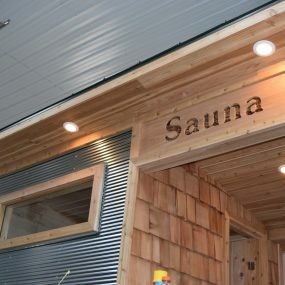 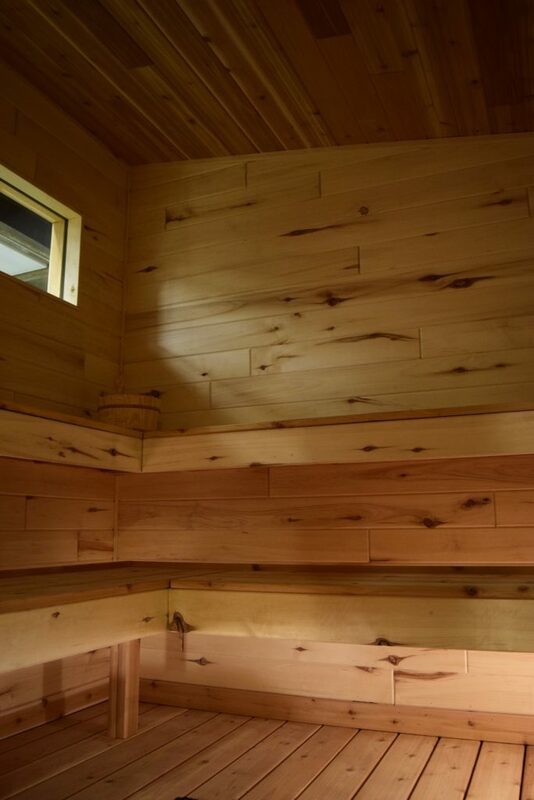 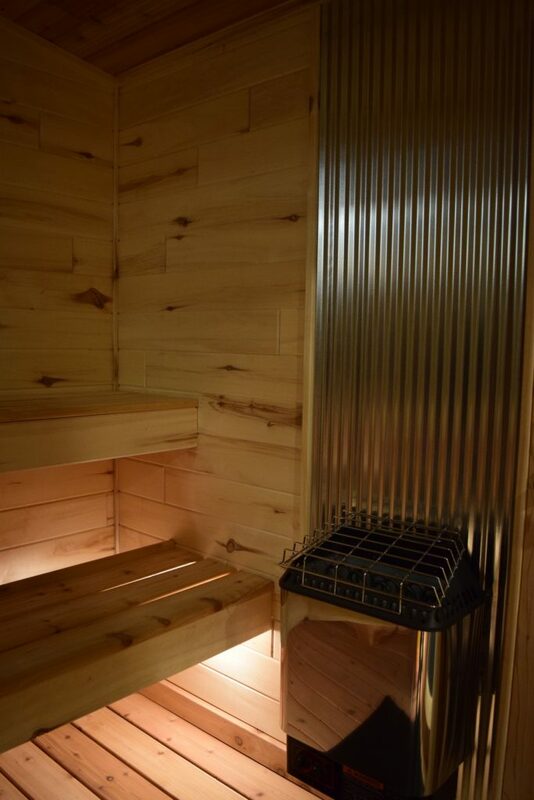 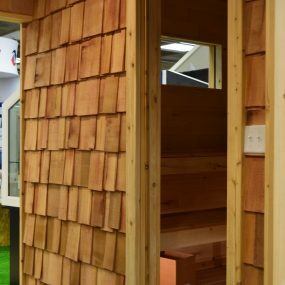 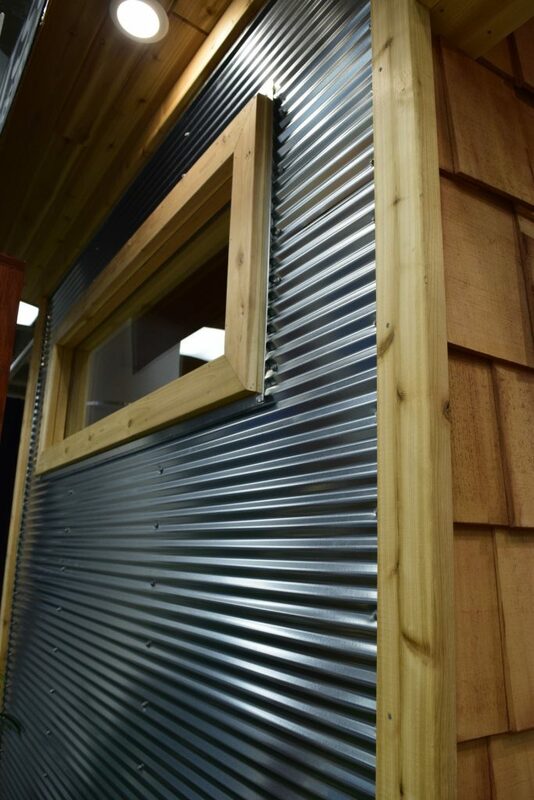 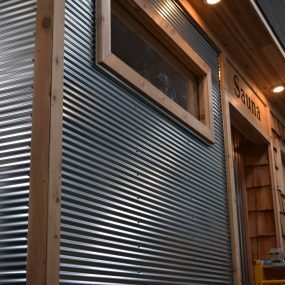 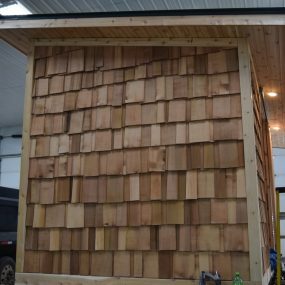 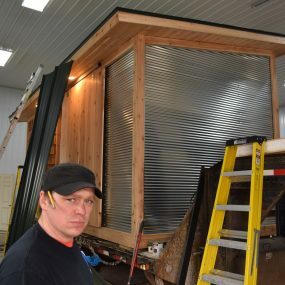 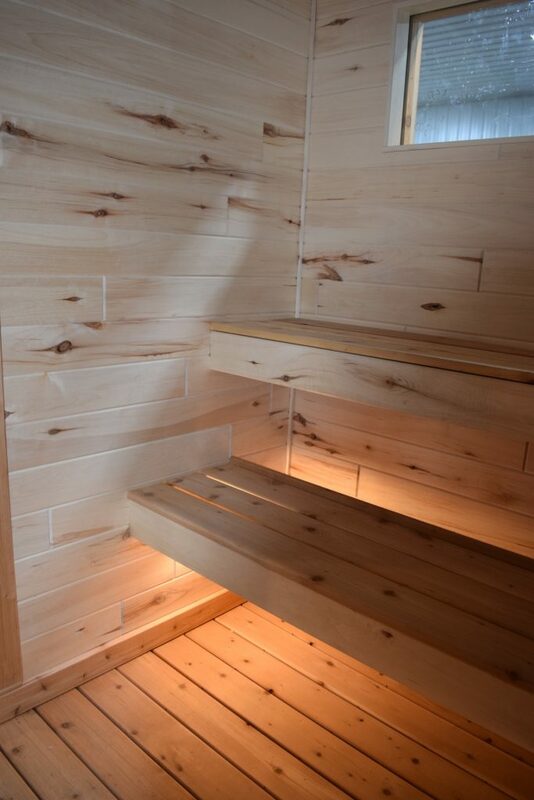 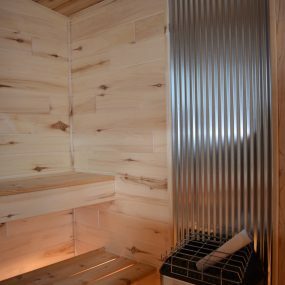 A sauna for a family to have at their cabin makes for a perfect project for the Knutson Custom Construction home show booth. 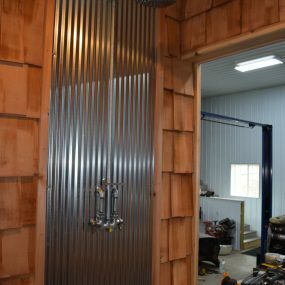 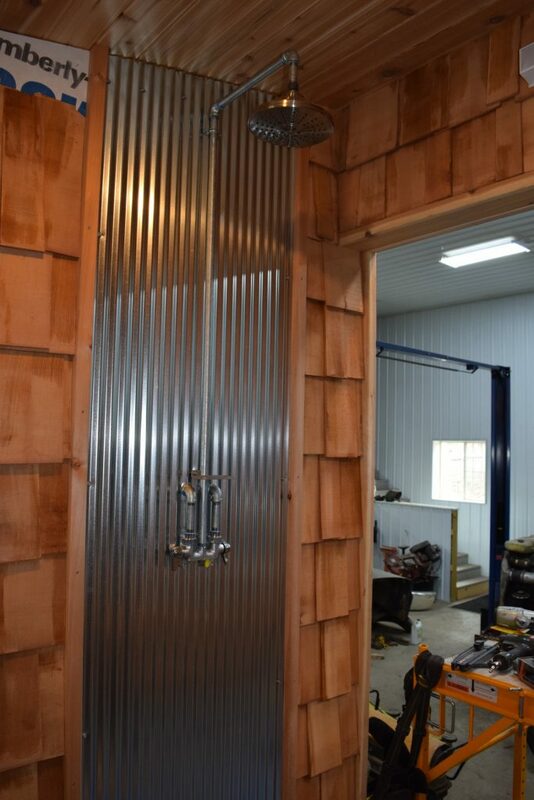 The design, details and mixing of materials matched the style that Andrew and Knutson Custom have been known for in the past. 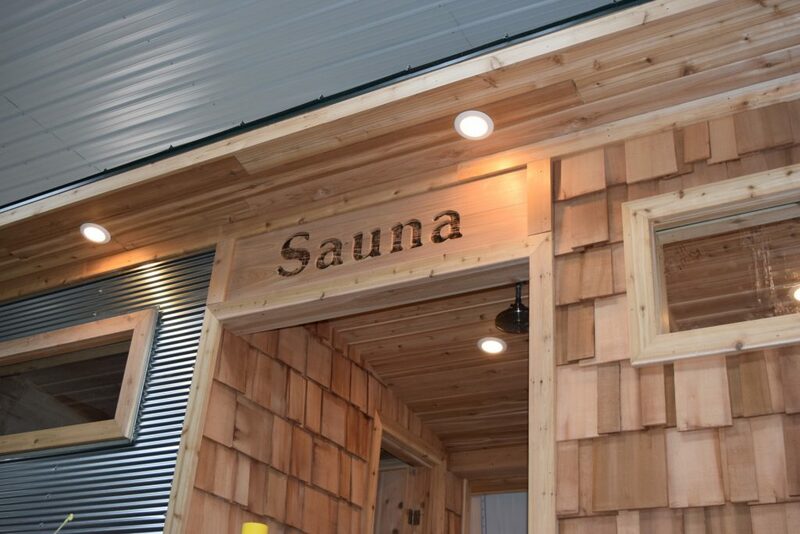 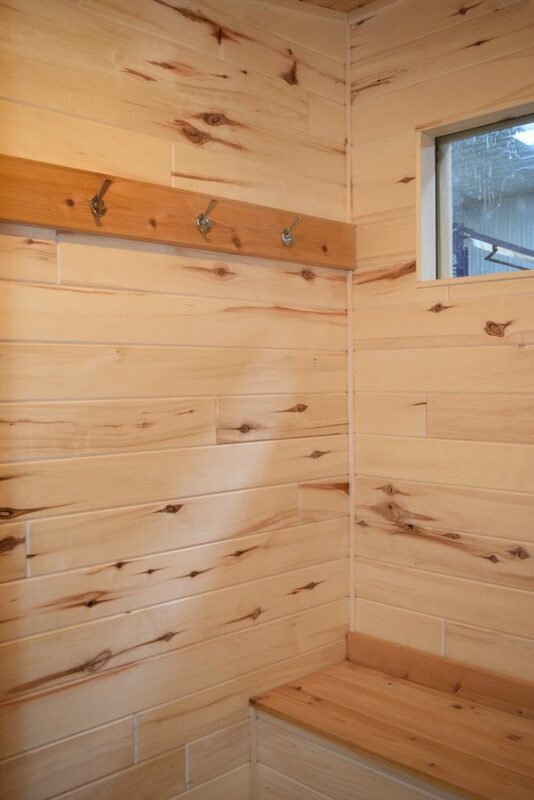 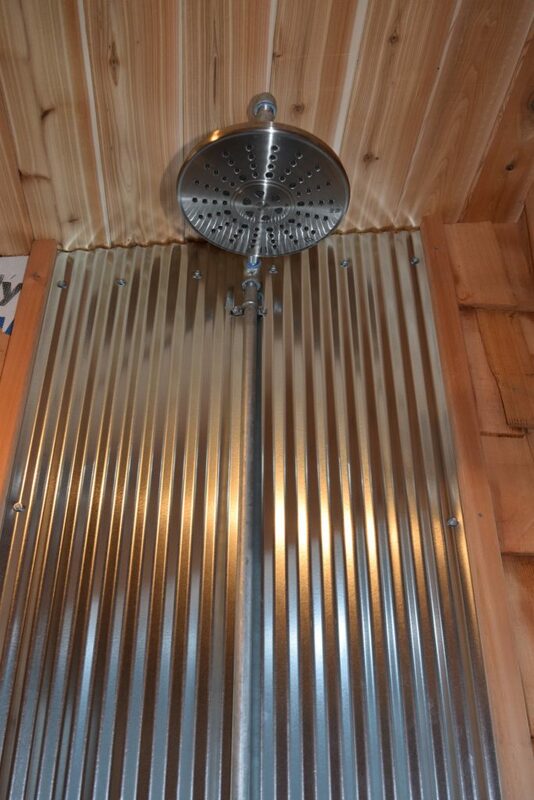 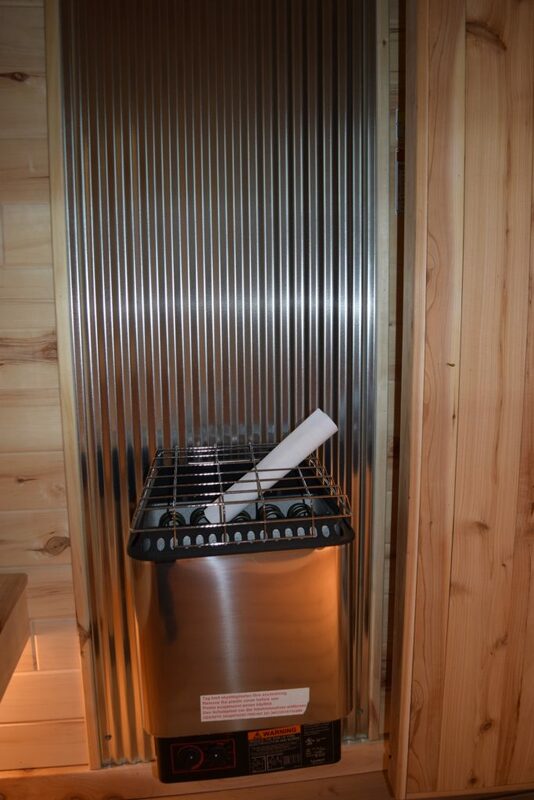 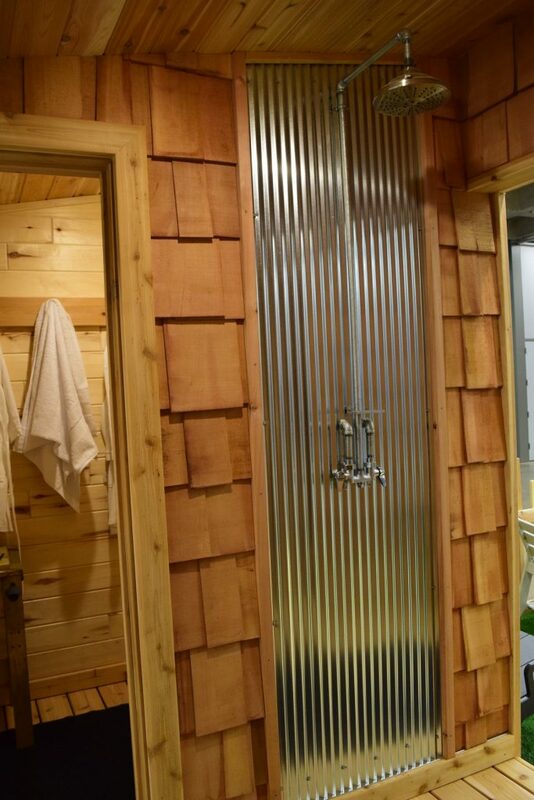 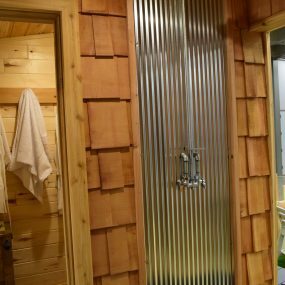 The family wanted to be able to use the sauna and rinse off without going into their cabin. 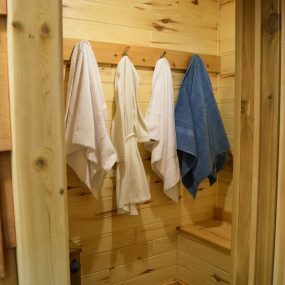 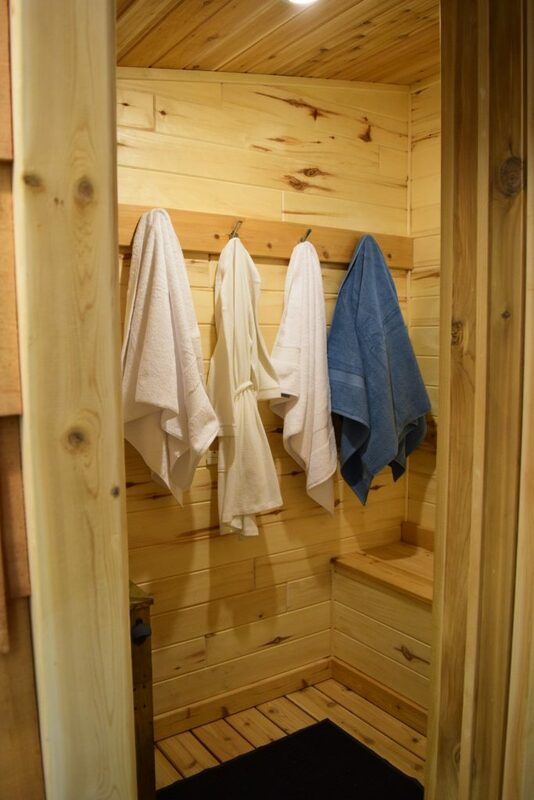 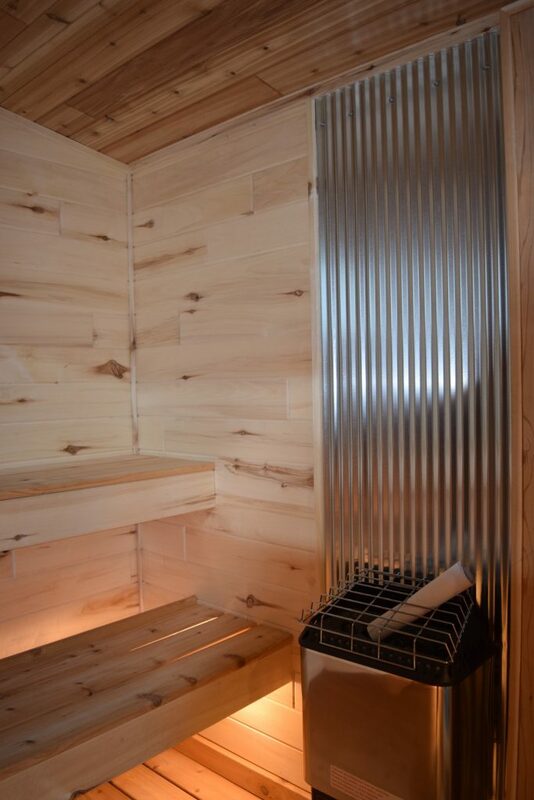 Andrew came up with the design to have the sauna on one side, the changing room on the other and the shower in the “hallway” between the two. 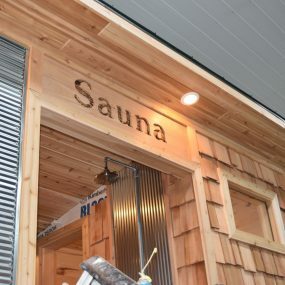 The front windows set high on the walls allow for the privacy one would want in a sauna and changing room, but it also lets in the perfect amount of sun light. 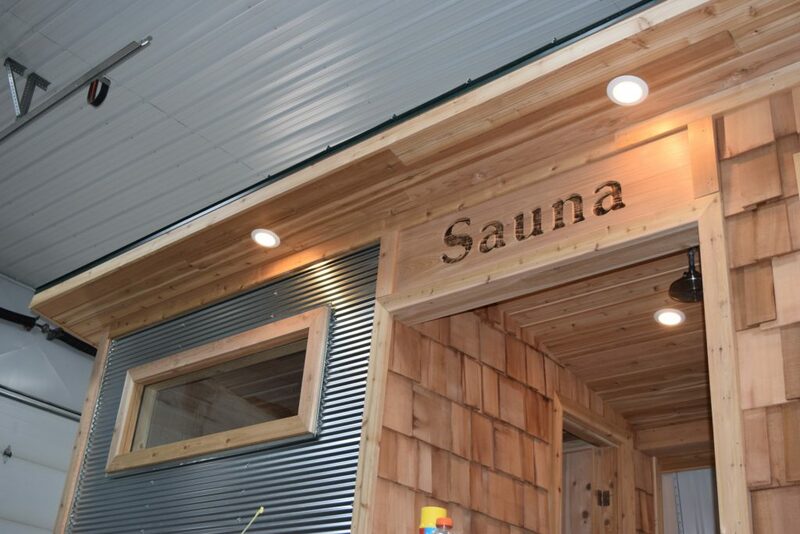 The end result was exactly what the family had in mind and were more than satisfied with their family sauna.